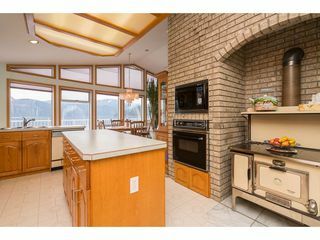 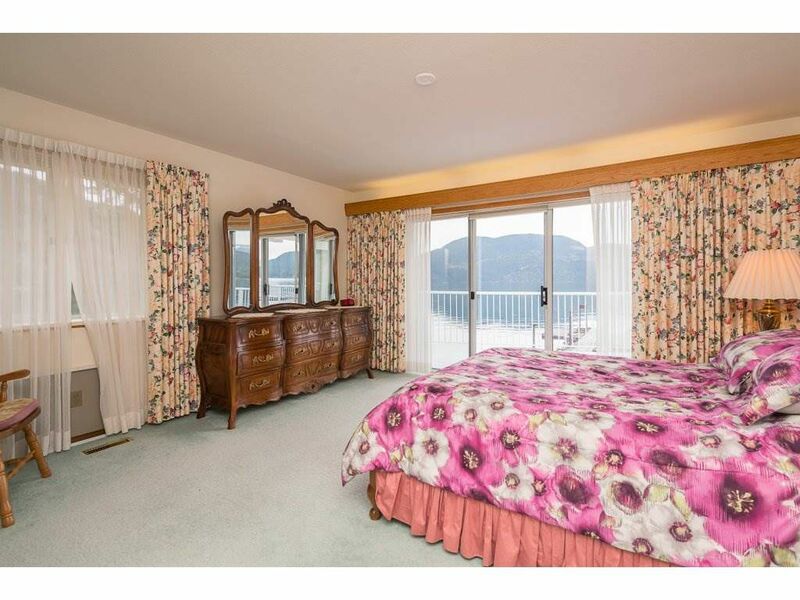 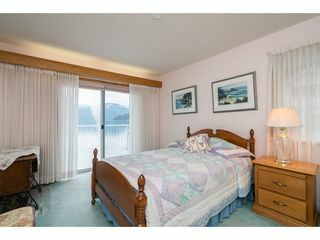 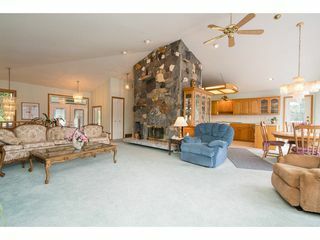 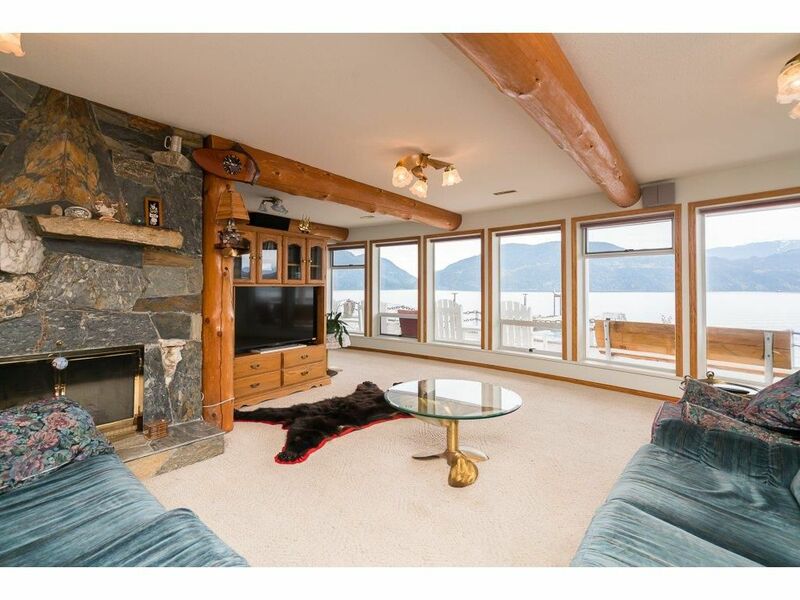 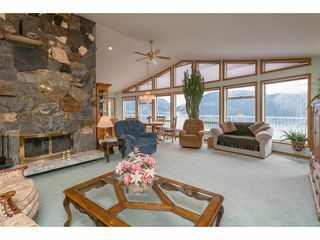 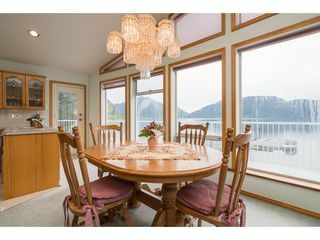 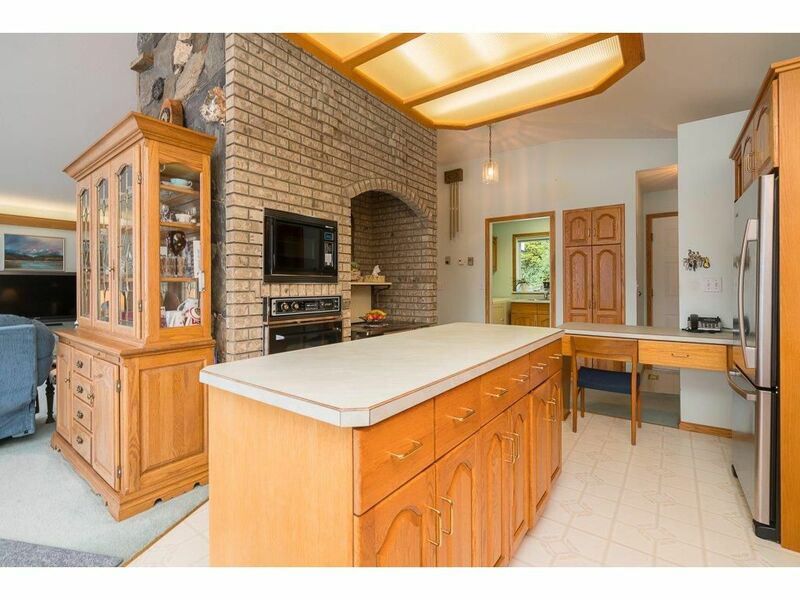 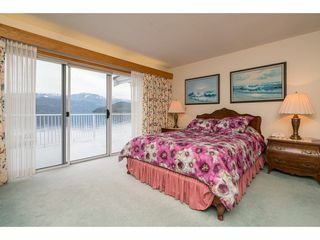 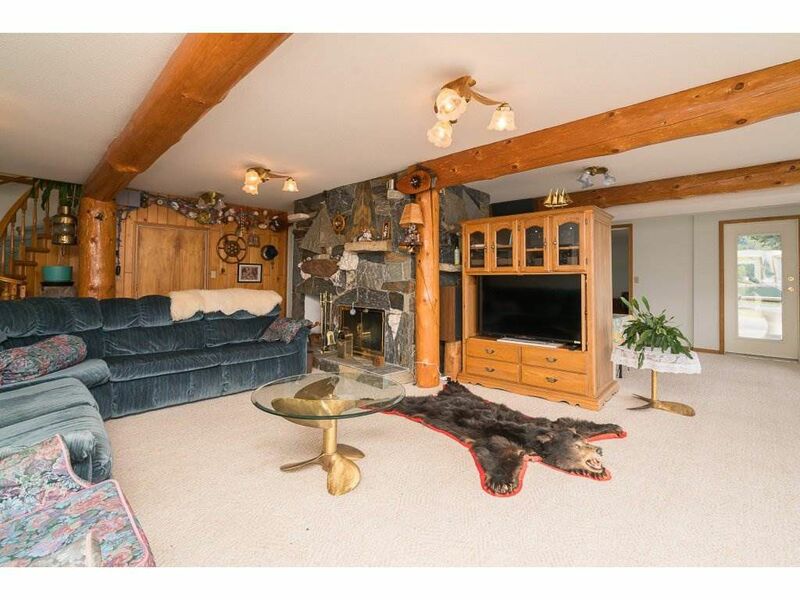 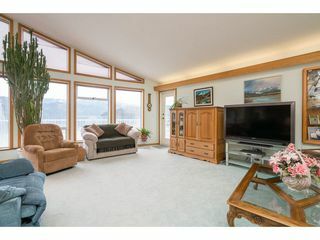 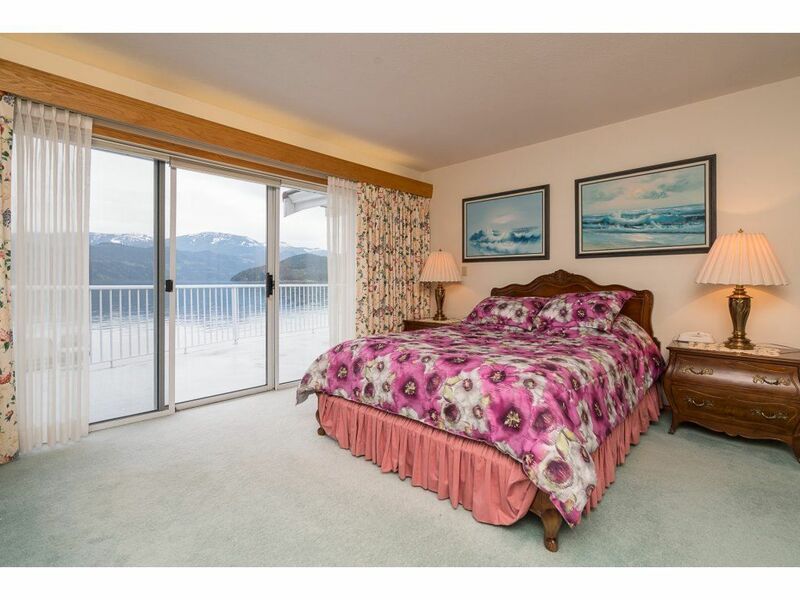 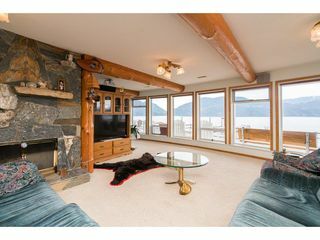 One of a kind Harrison Lakefront home. Approx. 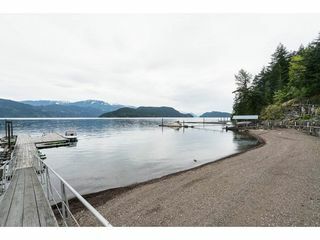 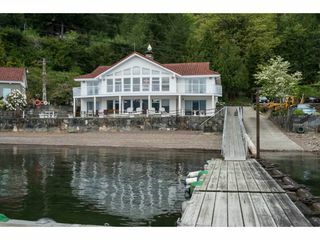 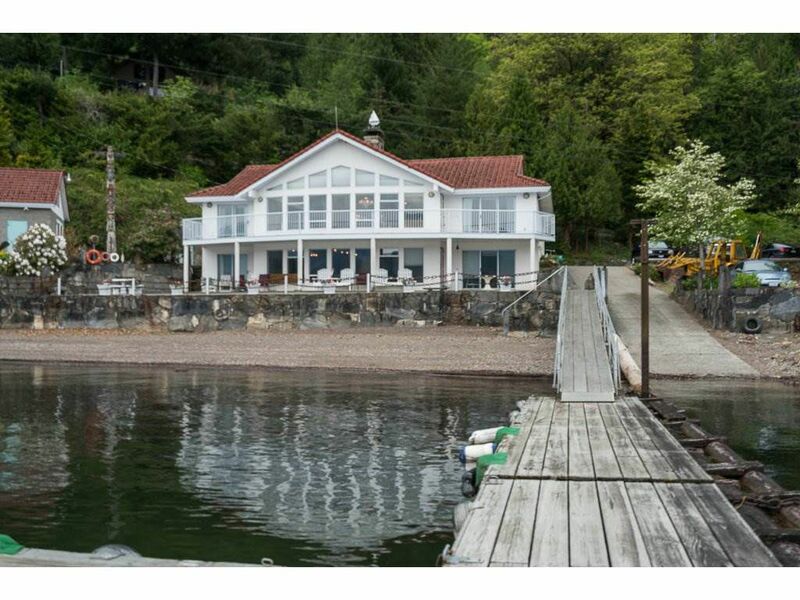 200 feet of spectacular low bank waterfront on 1/2 acre. 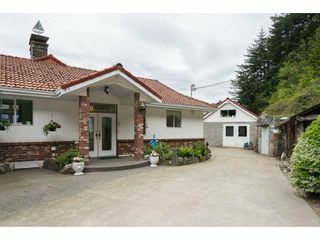 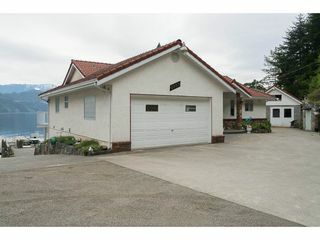 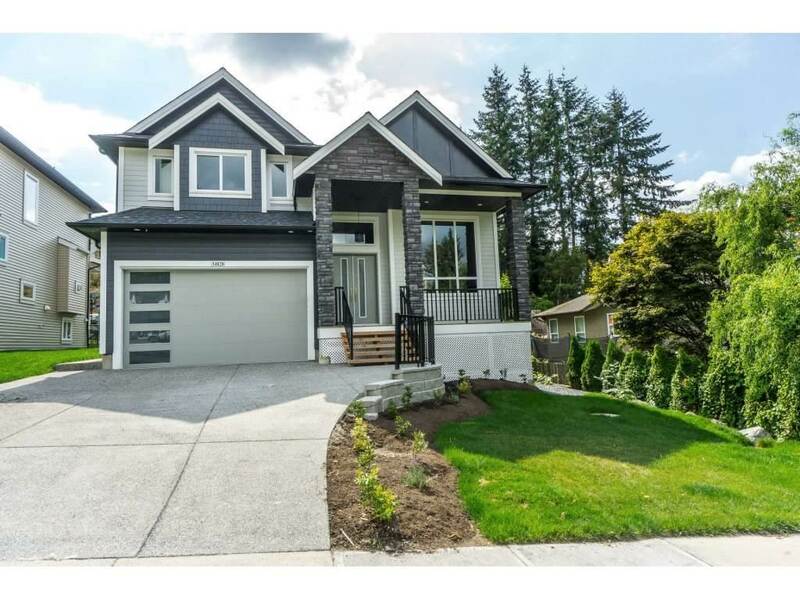 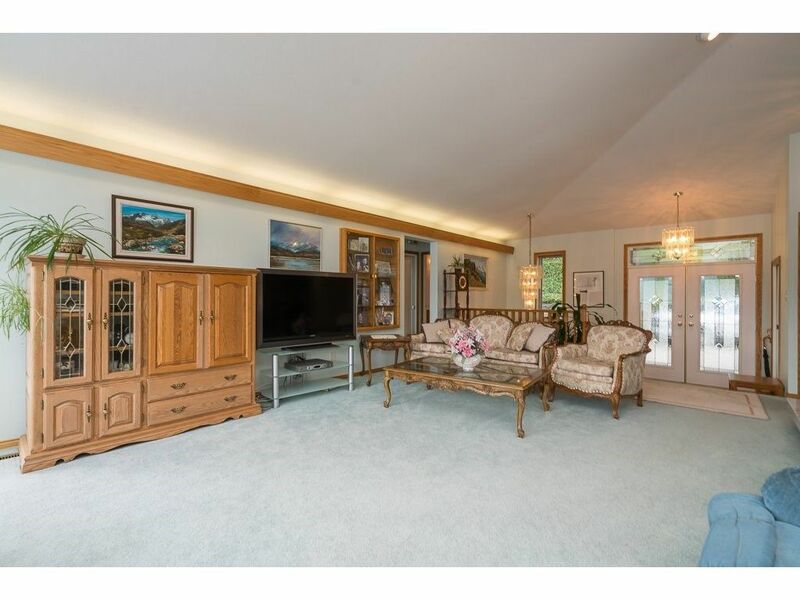 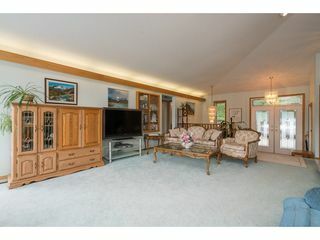 Custom owner built rancher with walkout basement. 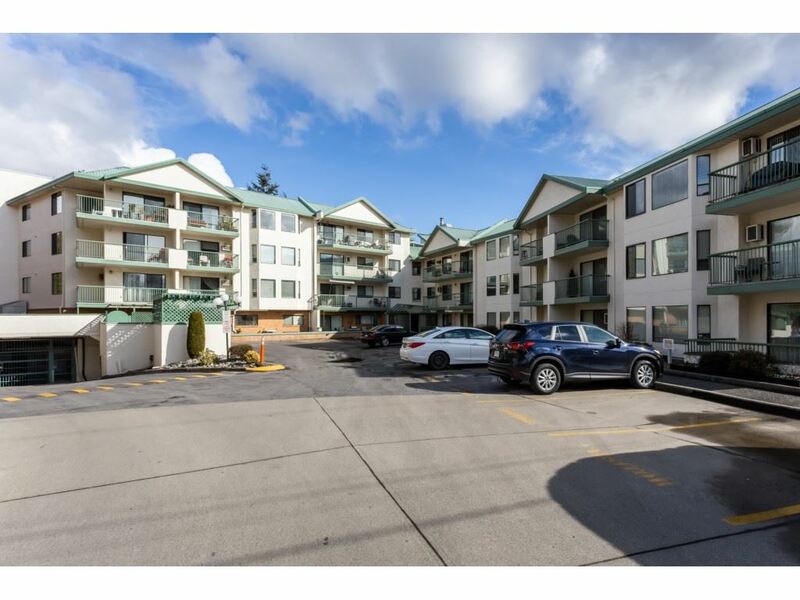 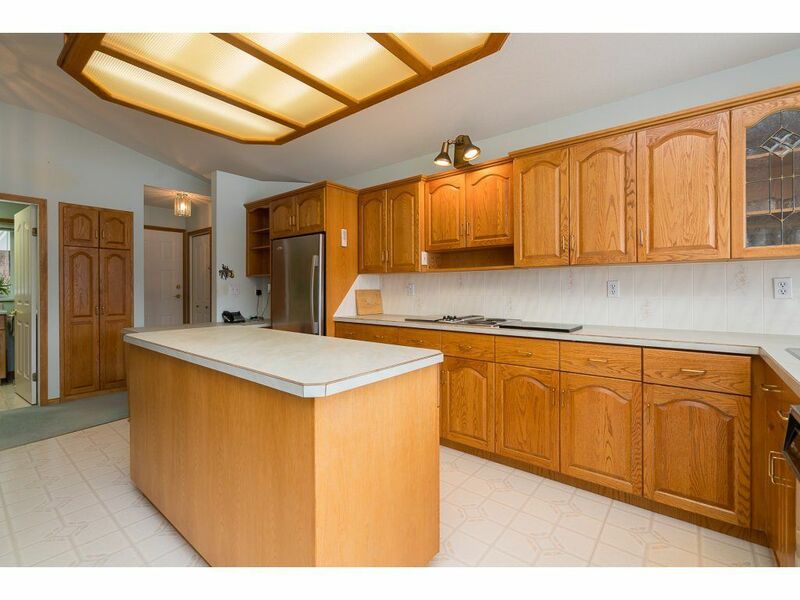 Open design, vaulted ceilings, sundeck and large patio. 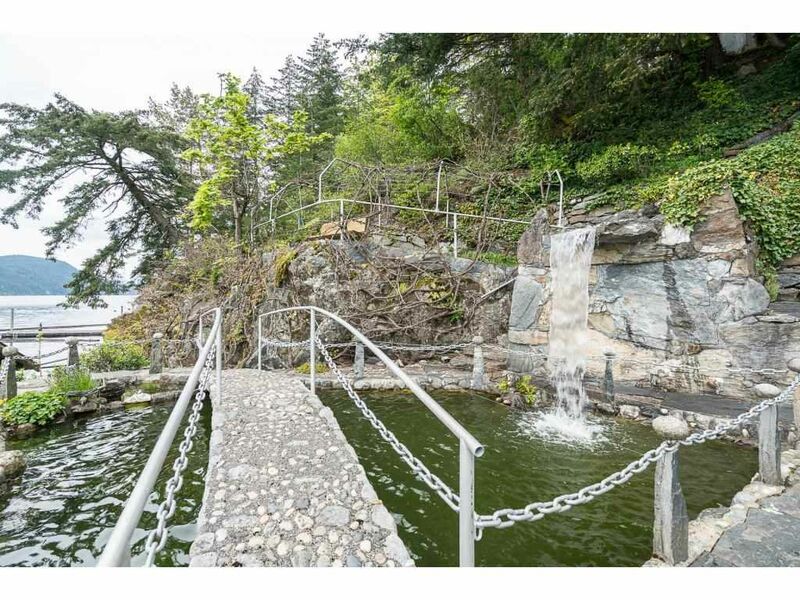 Fantastic beach with full length rock wall breakwater. Prepaid foreshore rights for the custom floating docks that accommodate many boats. 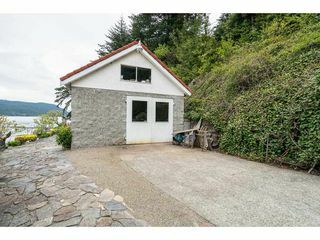 Boat shed with pull out. Large man cave workshop with equipment included. 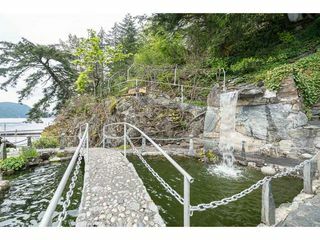 Tons of custom rockwork built fish ponds, walkways, bridges and waterfalls, totem pole and raised gardens. 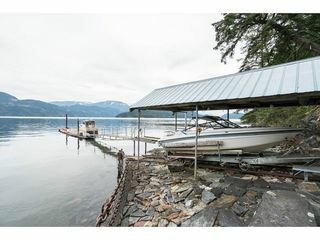 Call for list of negotiable equipment and items. Too much to mention and really needs to be viewed to appreciate all the workmanship.